I really like to travel. I don't mean Hotels & Attractions traveling - I mean scruffy & primitive camping travel. Over the past couple years I've discovered that specialty Coffee brewing isn't really that easy on the road. Here are some things I learned along the way, I hope they are helpful for your future adventures! You can have great Coffee, the best supplies and a snazzy vessel - but if you don't have quality water your Coffee is going to taste odd. A standard rule in the Coffee world; If your water tastes good for drinking, it will taste good for Coffee. Rather than using campground water, I highly recommend snagging a few jugs of purified water to have handy for brewing. Easy peasy. This gooseneck Electric Water Kettle has never done me wrong. 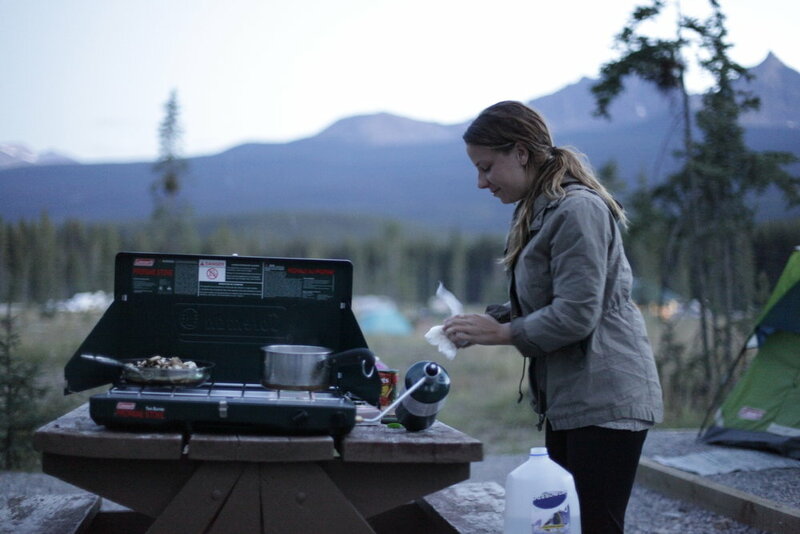 If you are fully prepared for a weekend the in the wilderness, you can also just quickly boil up some water with a Jet Boil or a Coleman stove. Rather than depending on electricity, invest in a manual grinder. It will give your arms a big of a workout, but is that really a bad thing? Again, since you don't want to be dependent on electricity you should go for the Chemex or Pour Over method (both of which you can brewing instructions for in my Journal!). Aeropress is also a nice method for the outdoors, so you don't risk breaking a precious glass brewer.